Norway’s Princess Astrid celebrated her 80th birthday on Sunday and her younger brother, King Harald, invited family and friends for what officials called a “private” dinner party at the Royal Palace in Oslo. Crown Princess Mette-Marit and Crown Prince Haakon were among those expected to attend. Princess Astrid Maud Ingeborg, born February 12, 1932, functioned as Norway’s “First Lady” for many years, following the death of her mother, the late Crown Princess Märtha, in 1954. The princess was only 22 and the younger of then-Crown Prince Olav’s two daughters, but her older sister Princess Ragnhild had just married Norwegian shipping and businessman Erling Lorentzen and moved to Brazil. With her father a relatively young widower, the job of being his official traveling companion and hostess fell to her. She maintained regular official duties for 14 years, well after her father had become king in 1957 and until her younger brother Harald finally was allowed to marry commoner Sonja Haraldsen. 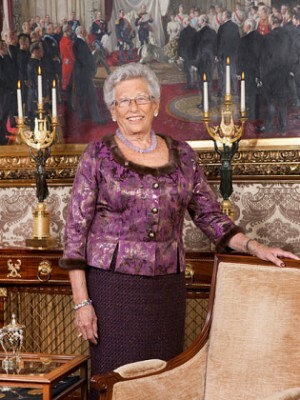 Then Sonja became crown princess, and Princess Astrid could step aside. She had already married herself, in 1961, to businessman and retailer Johan Martin Ferner. They had five children, now five grandchildren as well, and the family still runs the fashionable Ferner-Jacobsen clothing store in the heart of Oslo, just down the street from the palace. Her title after her marriage changed to Prinsesse Astrid fru Ferner but she remained among Crown Prince, later King Olav’s most important supporters. Before King Olav finally agreed to the marriage of his son and heir to the throne, after a nine-year courtship, Astrid was often present at official events, helped host visiting heads of state and traveled with her father in Norway, although only once abroad. They toured most of the country after he succeeded his father, the late King Haakon VII, as king. Princess Astrid told Norwegian magazine Familien this week that she has no intention of slowing down now, either. “I don’t feel old at all,” she told Familien. “And it’s just a pleasure to help out.” She stressed that she’s motivated first and foremost by the sheer joy of it all. She’s a royal patron (called beskytter, literally “protector,” in Norwegian) for around a dozen various organizations and her name still pops up in small items in the media when she, for example, attends functions of Norway’s associations for those with Downs Syndrome or dyslexia, or a special event for the women’s social service organization Sanitetsforeningen or the Trondheim Symphony Orchestra. She said she and her parents and siblings lived “quite protected” at the royal estate Skaugum in Asker, west of Oslo, where Haakon and Mette-Marit live now. Things were stricter then, and neither she nor her sister were allowed to go to public school like royal children do today. They had private tutors at Skaugum, along with a few other small children. When the royal family returned from five years of exile in the US during World War II, when Nazi Germany occupied Norway, things loosened up a bit. They had gone to “ordinary schools,” as she called them, in the Washington DC area and that continued in Oslo. By that time, though, she and Ragnhild were teenagers. 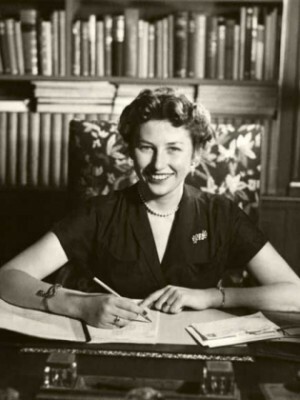 Princess Astrid eventually studied economics and political history for two years at Oxford. Princess Astrid said she thinks Crown Princess Mette-Marit, who’d had a fairly wild past before marrying Crown Prince Haakon, has done “very well, fantastically well, in fact” as she’s matured into her role. Astrid herself seems keen on staying in the background, and her own children were protected from the media. “My children aren’t public,” she stressed to Familien, even though their grandfather was the king. For many years they had weekly family dinners with King Olav at the palace or at his summer residence on the Bygdøy peninsula in Oslo. She and her husband moved out of the house at Vinderen, which had been a wedding gift from her father, when their own children grew up, and now live in a condominium in Oslo bordering on the forest known as Nordmarka. That’s where she continues her hobbies of knitting, embroidery, reading and, not least, painting porcelain. She looked forward to celebrate her 80th birthday at the palace but was coy about the guest list, which was likely only to include family members and close friends.